BLUE RIDGE, Ga. – Residents may have noticed a change to the speed limit on Old Hwy. 76 this week. The Board of Commissioners (BOC) discussed an increase in the limit at the Nov. 28 meeting. “It’s kind of convoluted, but going east on 76, from downtown to Marina Drive, that’s the city of Blue Ridge, and then it becomes the county’s responsibility from Marina Drive out to the Lakewood intersection where Hwy. 60 comes in,” Fannin County BOC Chairman Stan Helton clarified as to which entities are accountable for maintenance and regulations along Old Hwy. 76. From Union County to the Lakewood intersection, the highway has a constant speed limit of 45 mph. From the Lakewood intersection to Marina Drive, the speed limit drops to 35 mph. 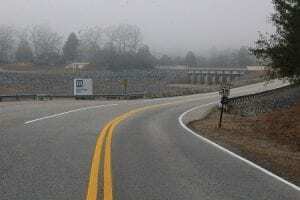 The change in speed limit will not affect the current speed limit at Blue Ridge Dam and along Tennessee Valley Authority (TVA) property. The speed limit will still remain at 35 mph in that area. After receiving calls from various citizens wanting to raise the speed limit in this area, Helton brought the issue to the attention of the board. Post 1 Commissioner Earl Johnson and Post 2 Commissioner Larry Joe Sosebee agreed that bringing uniformity to the speed limit would be a positive. Area along TVA property, including Blue Ridge Dam, will remain at 35 mph. Johnson deferred to Fannin County Public Works Director Zack Ratcliff to get his opinion on the proposed change. BOC Chairman Helton made a motion to raise the speed limit from Marina Drive to the Lakewood intersection (excluding the dam and the area along TVA property) to 45 mph. Johnson seconded the motion, and it was passed unanimously by all three commissioners. Blairsville, GA – On Thursday, June 22nd , 2017, 34 people were arrested and warrants were issued for 4 others. 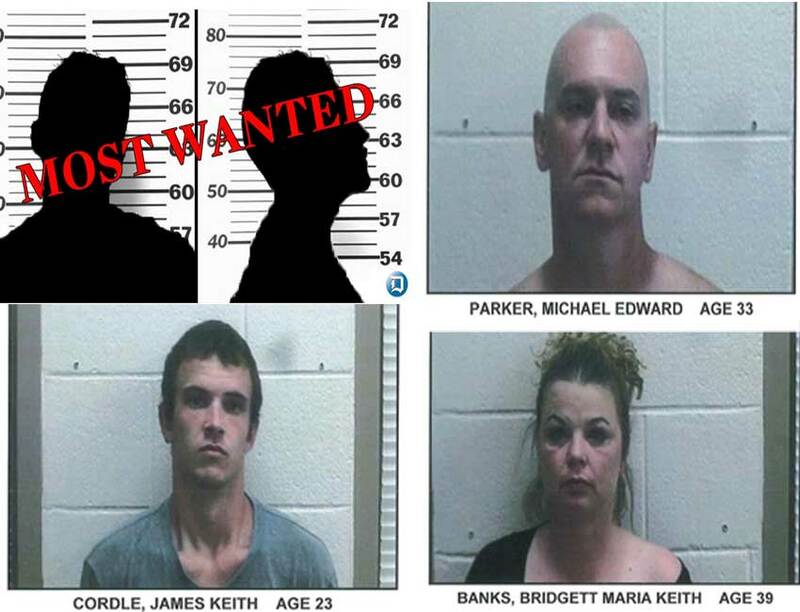 One of those ‘others’ has since been apprehended and arrested; but the three remaining are currently Union County’s Most Wanted because, according to UCSO Captain Chad Deyton and UCSO Sgt. Tyler Miller, they are the ringleaders. Union County’s Most Wanted still at large from largest methamphetamine drug bust in Union County history. 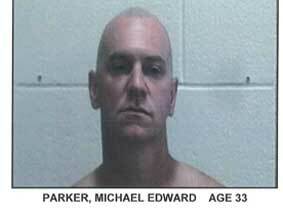 Still at large as of this writing are Michael Edward Parker, James Keith Cordle and Bridgette Maria Banks. If anyone should see or might know the whereabouts of any of these persons, please contact the Union County Sheriff’s Office at (706) 439-6066 immediately. BLUE RIDGE, GA – Law Enforcement from three counties were involved in a chase today which ultimately ended with a suspect in custody. 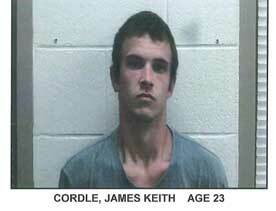 Shortly after 11:00 A.M., Towns County and Union County put out an APB (All Points Bulletin) for a stolen vehicle. A detainee from Colwell Detention Center had been assigned work duty in Towns County, and had stolen a county employee’s vehicle from the courthouse. The suspect then fled the scene in the stolen vehicle. With the APB out, law enforcement in Union County spotted the suspect, still in the vehicle, heading west toward Fannin County. Officers pursued and were joined by Fannin County law enforcement as the suspect crossed county lines. 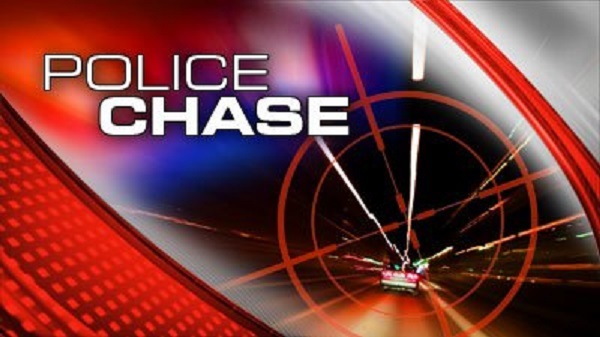 The chase ended around noon, approximately half a mile south of West Fannin Elementary School on Highway 5, when the suspect lost control of the vehicle and crashed onto the shoulder of the road. Officers were able to apprehend him without further incident. The suspect is now back in custody and being held at Colwell Detention Center. FetchYourNews will bring you more updates as they become available. Fetch Your News covered four of our local counties graduation ceremonies this weekend as well as some great Memorial Day ceremonies. In this segment BKP shows a few pictures from each graduation and from each of the Memorial Day celebrations. He ends the segment Thanking all the men and women who have given their lives so that we can all enjoy the freedoms that we do daily. He makes a special Thank you to 1st Lt. Robert Kelly, Department of Homeland Security head General John Kelly’s son, who was killed in Afghanistan in 2010. 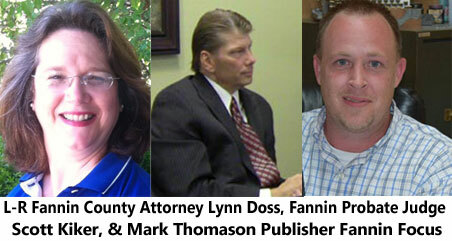 « Previous Article Fannin County Board Of Commissioners Special Called Meeting. 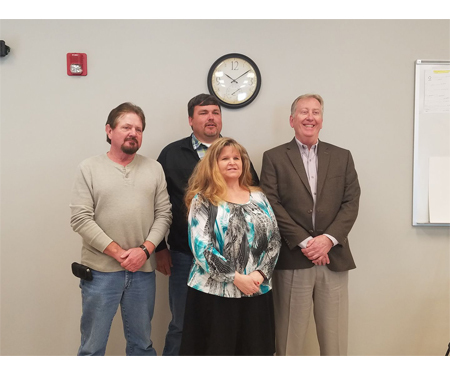 The Fannin County Board of Commissioners held a special called meeting on February 7th 2017. Personnel was part of the agenda and the Board of Commissioners emerged from executive session to announce a decision in hiring the newly vacant position of Financial Director for Fannin County. Fannin County Commission Chair Stan Helton began, “There’s an old saying it’s not what you know its who you know and sadly that’s been a process when you hire people that’s been done too many times. But I’m glad I serve on a board with two men who don’t believe that, they believe it’s what you know that really counts, what your qualifications are.” ” There was one candidate who stood out among all the others.” “A little background on the candidate, She has a Bachelor of Business Administration in Accounting from the University of Louisville, she has a Masters of Business Administration in Taxation, she is a Certified Public Accountant in good standing with the State of Georgia, she is a former auditor and has actually even audited Fannin County’s financials in the past. She has been the Chief Financial Officer for Union County, our sister county to the East for the past 12 years. 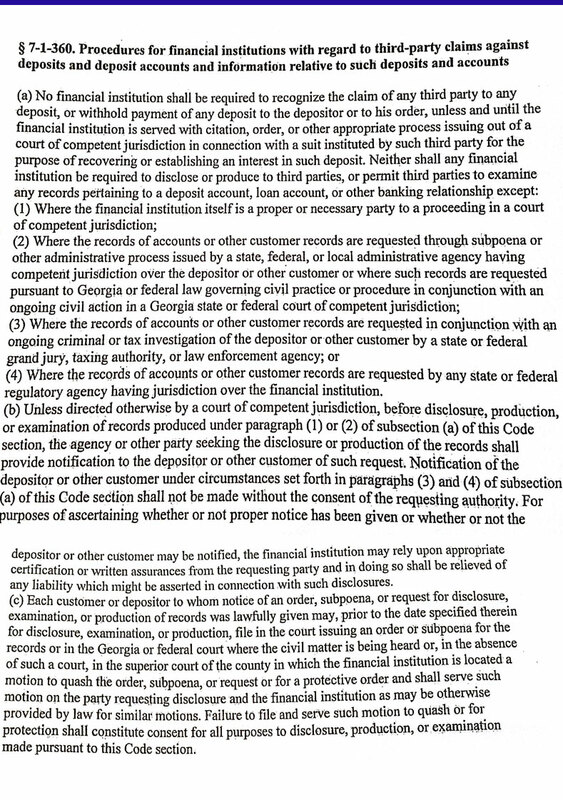 Commissioner Helton went on to do a comparison on the past audits of Fannin and Union for December of 2015, stating Fannin was found to have 13 significant or material deficiencies in the way the taxpayer funds were handled through the courthouse while Union County with the same auditing company and time frame only had one. Helton explained during the search for the last 30 days there were several resumes from all over the state and several highly qualified people. Following the description of the candidate and the search, Chairman Helton made a motion to appoint Robin Gazaway as Fannin County’s new Financial Director and the motion carried. FYN spoke with Ms. Gazaway following the meeting. Gazaway is a graduate of Fannin County High School who attended Louisville University for her Bachelor degree and received her Masters from Kennesaw State University. She is currently a resident of Fannin County and married to Rick Gazaway who works with the Fannin County Fire Department. She will continue working at Union County until March and is currently handling audits at both places. The Mountain Regional Puppet Company has announced their show dates for the upcoming Christmas season. The show will debut at the new Mountain Regional Library in Young Harris on December 13, then travel to all the other branches during the remaining week. The show features three classic children’s Christmas books. Animals are featured in Bear Stays Up for Christmas and A Wish to be a Christmas Tree. And then the show finishes with an interpretation of Raymond Briggs’ famous story entitled The Snowman. In 2016, staff members of the Mountain Regional Library formed a production troupe dedicated to puppet performance. Led by Library Director Vince Stone, this group scripts, choreographs, and performs professional level puppet shows for our community. The main purpose of these productions is to use puppetry as a creative means to promote literacy and the library. This year’s Christmas production was sponsored by a generous gift from the Friends of Union County Library. This show is appropriate for all ages and is free to the public. Next Article » Are You Prepared for Winter?